SEC And Crowdfunding: Things You Need To Know. The new SEC crowdfunding rules could be a game-changer for your business, but there's a lot work to be done on your end before you can reap the benefits. The new crowdfunding rules will tap directly into the hearts of consumers. It's no secret that brands can earn emotional capital from its customers. This is going to take that to the next level. For example, if you use a lot of batteries, which brand are you going to buy - Duracell or the ones you own a little stock in? Startups can now access capital markets (to raise up to $1M annually) that used to be only available to public companies, and they can do this without filing audited financials which are expensive for small businesses. Under the new SEC rules, companies that raise less than $500,000 will only need to provide financial statements certified by their own financial officers. Companies that raise more than $500,000 (for the first time) will need to get their financial statements reviewed by an outside accounting firm but are not required to provide audited financials. For a startup, money means resources, and resources mean innovation. These rules will allow small companies to get the resources they require to innovate at a much faster rate and allow new technology to be created at an even faster pace. The consumers or the masses will be able to decide which brands or technologies deserve to grow faster. Even crazy ideas will find supporters. 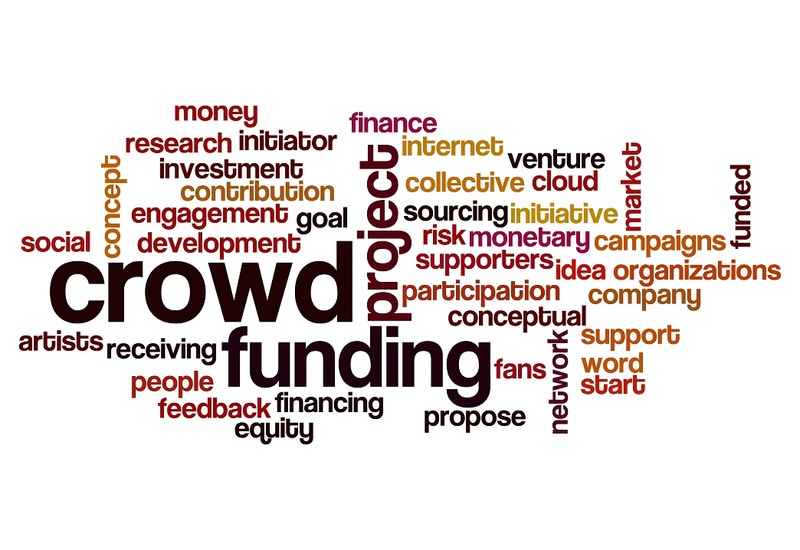 A tremendous benefit of a successful crowdfunding campaign is the exposure that will accompany it. For one, the media loves to showcase "the little guy that made it." Likewise, your investors are going to be championing your company like crazy. The crowdfunding platform itself will be bragging of your success, and so on. So, while the capital injection in itself is of great help, the extra exposure and subsequent sales you'll generate from a successful crowdfunding campaign can at times be even better. Most startups understand the value of a customer and will do anything to make them happy. The new crowdfunding rules take this to a whole new level now that unaccredited investors will be able to participate in private financings. With some companies already showing you can raise tens of millions in capital from crowdfunding, it's an exciting time to be a customer of a startup. The new SEC crowdfunding rules will increase demand for small, vertical-specific crowdfunding platforms as individual investors who don't have time to sift through a large amount of startups to decide where to invest their money. For startups, this means that being tightly niched will be a huge advantage. For example, real estate, women in tech or the environment are all potential sectors of interest. If there's a specific platform for each of those interests, it'll be a huge draw for both individuals and startups who need cash. One of this on line site is 40Billion.com, which specializes in promotion of small businesses make this easy by broadcasting and promoting to its large network of several million users across the most popular social networking sites for small businesses - including Twitter, LinkedIn, 40Billion, and even Facebook. Innovative services like promoted posts and promoted company listings were created for small entrepreneurs to tap into a growing, active network online without spending thousands on pay-per-click ads or traditional advertising. The ability to raise money from a different, less formal investor base will allow the startup to find investors who can serve as their marketing base. A few startups tried to tie social media influence towards owning shares -- most recently Jet, which gave the top ten referrers shares in the Company. This went viral and created a lot of publicity around the launch. Startups will be able to replicate that model, but put those who actually stand to gain from the Company's growth in a position to exert their social media and marketing influence to help the company launch successfully. Most startup entrepreneurs bootstrap using their own personal money, credit cards, home equity lines of credit and personal IOU's from friends and family. Indeed, "bootstrapping" has become almost a right of passage as an entrepreneur, but such a practice concentrates all of the risk with the entrepreneur. If the company doesn't work out, the entrepreneur may need to declare bankruptcy and suffer blemished personal credit. The most exciting thing about the new SEC crowdfunding rules is that the entrepreneur will no longer need to assume all risk to start a new venture. The new crowdfunding rules will now truly help democratize fundraising and investing, thus helping crowdfunding establish itself as an alternative source of financing. Since the passing of the JOBS Act three years ago, crowdfunding has been validated as a new form of financing. The recent rules will help further streamline this form of fundraising and democratize it for the masses. I am a private lender and i give out secured and unsecured loans. I give out loans at 6% interest rate and i do 100% financing.